← 45 participants needed as the PortEmber challenge continues! Our 45 participant challenge is complete! Hi again! Our PortEmber celebration continues. Thanks so very much for all your participation and support in the 45-person Flash animation challenge with Richard Armitage as John Porter. I appreciate all your tweets, comments, and of course your screencap submissions! Can you find your screencap? Press and move the mouse over the sphere to rotate. DOUBLE CLICK a thumbnail to load an image. Click the image to close it. I like to hug people in real life so if we meet, make sure I give you a big ol’ hug! As always, massive thanks go to Ali for her website, RichardArmitageNet.Com! This project was made possible by her high quality screencaps. 🙂 Please remember that you can generate funds for charity by making any and all Amazon UK and Amazon US purchases through the links at RichardArmitageNet.Com. See you all tomorrow as PortEmber continues! This entry was posted in Graphics, richard armitage and tagged chris ryan, chris ryan's strike back, flash animation, john porter, richard armitage, strike back. Bookmark the permalink. 97 Responses to Our 45 participant challenge is complete! Wow! Very cool! Porter rocks the world! Sorry I missed commenting before the deadline. Lots of great pics here! Wow, Bccmee – this is SO damn cool!!!! @Julischka: Delighted you enjoyed it! Thanks for commenting! @NovemberBride: Thanks again for your participation! @ayyp: Thanks for your participation! Did you find your screencap? @bccmee: I have found mine. Thank you for including one of my two screencaps. Dear economists and politicians all over the world: You should take a look at this. This is GLOBALIZATION!!!!! @antoniaromera: So true! Richard Armitage truly is an international star! @Kathleen: LOL! Now that would be awesome! Thanks for you comment! @RavenRoseBeetle: So happy you liked our little project! Thanks for participating! Oh! What an Intriguing sphere! I could stare at it moving – and occasionally open each single pic – for ages! Love JP! ❤ Thank you B! @Mamma_T: So delighted you joined the collaboration! Thanks so much! WOW! this is amazing. It’s a good thing that you use your talent for good rather than evil – otherwise, with your talent, you’d have taken over the world by now. Right now I’m standing at my desk, doing a polite curtsie/bow and intoning “We’re not worthy!” Thanks for such a gReAt Monday tReAt. @Elaine: LOL! Thanks for your kind generous (and entertaining) words! So grateful for all your continued support too! Wow, looks … well … cosmic! Good job, girls! Struck me that most photos are of his face. @Ana Cris: Yes, I slipped in one screenshot of his muscular back in the gray t-shirt though. 😉 Thanks so much for playing! @Jen: I’m sure I’d probably buy all of them before they hit the shelves, LOL! By the looks of the promo photo I can see why it all “started” for you! What an awesome flash animae! @Ania: I know the feeling. I can find everyone’s screencaps now from lots of practice, LOL! @Teuchter: ROTFL! You bring up some good points which will require careful analysis. 😉 Thanks so much for your active participation! Me too. But I don’t have all day! Waaahhhh! This is a huge temptation to just shove that turkey back into the fridge, forget about the pumpkin pies and walk around the unfolded clothes that litter my living floor. But I shall perservere…. @NovemberBride: Hehe, we don’t want your house to go to rack and ruin! I’m sure when I come visit we can fold the clothes together so it will go much faster. 😉 Thanks for participating! Wow, this is so incredibly cool! A lot of great pics too. Porter’s world, or a world of Porters, as you like it! @Carla: I’m so happy you were able to take part! Thanks for all your participation and your tweets to help make our project a success! It’s a wonderful world you show us Bccmee! It’s a beautiful project , very poetic. I love it! Coooool! Reminds me of those paper lamps in the 70s where you had to cut out the pics from a popmag..! 😉 Haha with the internet there are pictures galore! This is awesome, Bccmee! You continue to amaze me! Love it, Bccmee. How long did it take for you to complete? You need to do another project like this someday. @Brooke: I processed the images as they were submitted so it didn’t take that much time in any one lump. 🙂 Thanks for your participation! Neat project! Thanks for letting us participate! wow wow and WOW…the sphere is amazing, John Porter is amazing and so are you Bccmee. @mersguy: Mmmm, I love John Porter! ♥ You’re so right that he is amazing! Awesome job. You are a John Porter goddess. @Jael: LOL, I don’t think I’ve been called that before! Thanks! I FOUND MINE!! 🙂 TOO PHENOMONAL!!! Thanks for the work and for including us!! You rock COMPLETELY! Ditto! And thanks bccmee, this is beautiful!! @grendel’s mum: Huge thanks for helping out! I really appreciate it! @tyme4t: Those songs play in with the theme that RA’s fans come from round the world too! Thanks so much for your participation! You were #1 in the queue! Love the globe! Amazing work bcc! Found mine! @balletmom: I’m delighted you enjoyed the globe and I thank you very much for submitting screencaps! SQUEE!!! Ahem, sorry about that 😉 This is one of the most amazing and hypnotic graphics I’ve ever seen…and thank you so much for choosing one of my screencaps!!! @Jo Milne: I’m very happy you like the end result. Thanks again for helping out by submitting your screencaps! An image a day from here till Christmas! What more do we need? NICE! 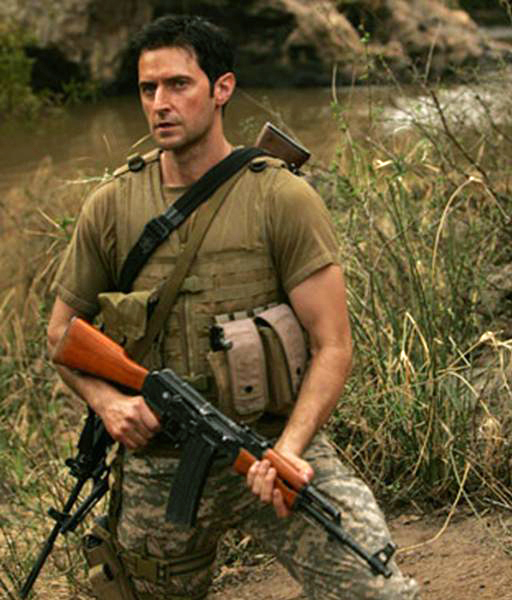 A world of Richard Armitage as John Porter is my kind of world. Ha! Oh, but there is one teensy problem–I don’t want to click on my image to close it. I want to jump right in and … ahem … help JP complete his “assignment”. I’m such a saucy girl today. But Dream Lovers to that to me. @Gratiana: I hope I don’t need to “mod” you, LOL! 😉 I’m so glad you were kind enough to submit your screencaps. The one of yours I chose looks almost like a NASA space picture in the thumbnail. NASA? Space? You’re making me think of rockets lifting off the launching pad, first stage separation, rockets firing for second stage ignition that boosts the rocket toward orbit. And then there is something referred to an “orbital insertion”–per my hubby, honestly–that gets the rocket into a stable orbit around the world. And finally, as the mission is almost completed, there is always rockets firing for reentry as the spaceship comes back down to Earth. P.S. My hubby helped me with the metaphor here–unbeknownst to him what the context is, Ha! I know, you’ll probably have to “mod” this. But, I thought you would have a giggle. This was very ingenious,Bcc. More and more you suprise us. How can i save the sphere and keep it up for ever?